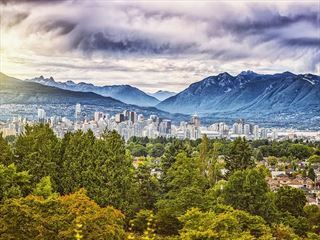 This trendy Yaletown property that kicked off Vancouver’s boutique hotel scene, sits alongside the False Creek waterfront and has attracted a number of celebrities since opening over a decade ago. 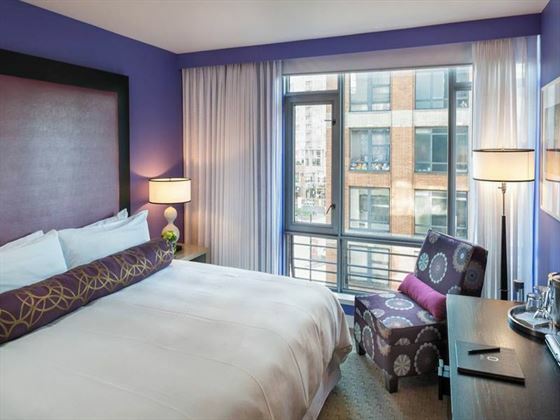 The designer rooms feature bold interiors that are bright and colorful for added fun, as well as Feng shui bed placements, while a complimentary in-room iPad can be used for the duration of a guest’s stay as a virtual concierge for exploring the city. 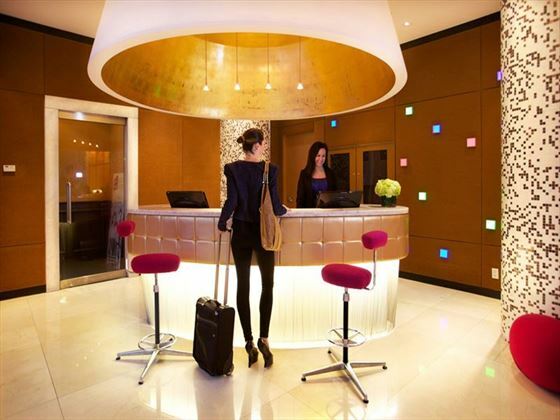 The hotel boasts a fitness center with a variety of hand weights and exercise machines that’s stocked with complimentary apples and water, while the popular onsite Italian eatery features a swanky lounge and an extensive wine list. 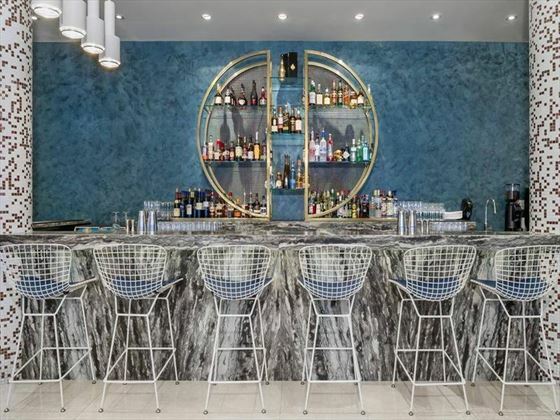 The property also sits within walking distance from some of downtown’s best restaurants and bars, leaving guests spoiled for outstanding choices. Those with pets are more than welcome, in fact, they’ll even be walked for free, and if you need to get around there’s a freebie limo service and complimentary bikes. Standard King Rooms – The Standard King Rooms have 250 square feet of space and include a king-size bed and all standard amenities. Standard Queen Rooms – The Standard Queen Rooms also have 250 square feet of space and include a queen-size bed and all standard amenities. 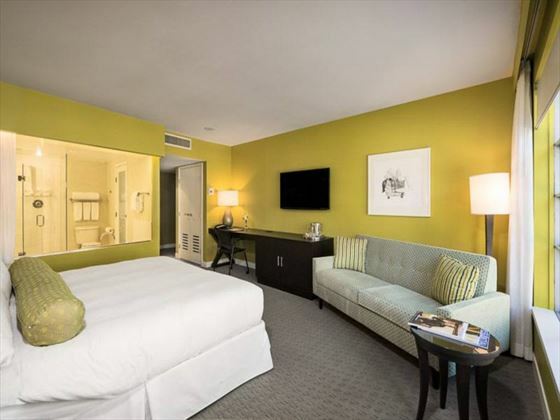 Superior King Rooms – These 305-square-foot rooms offer extra space and include a king-size bed as well as all standard amenities. 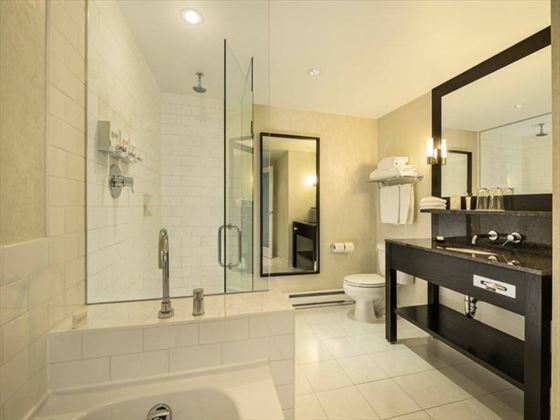 Superior Double Rooms – The Superior Double rooms include 305 square feet of space and include two double-size beds as well as all standard amenities. Deluxe Courtyard Rooms – These rooms overlook the inner courtyard and garden, and feature either one king-size or one queen-size bed, a gas fireplace and all standard amenities. Deluxe King Rooms – The Deluxe King Rooms have 325 square feet and include a king-size bed along with all standard amenities. 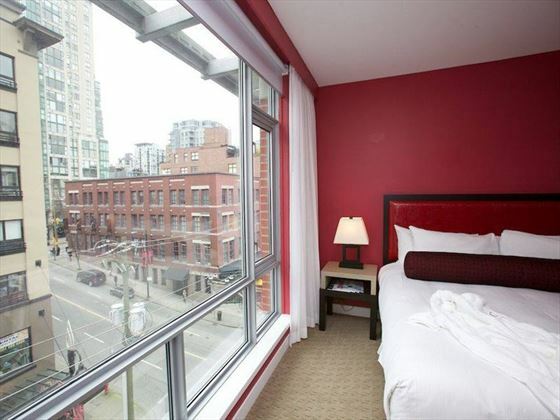 Balcony Studios – The 400-square-foot studios feature a king-size bed and a sitting area with a full-size sofa, as well as all standard amenities. 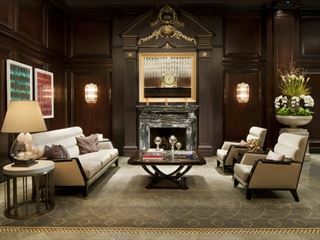 Executive Suite – This 505-square-foot suite features a retro pop-deco design and includes a king-size bed and a sitting area with a sectional sofa, a wet bar, Nespresso machine and a private foyer which can connect to other rooms to create two- or three-bedroom suites. 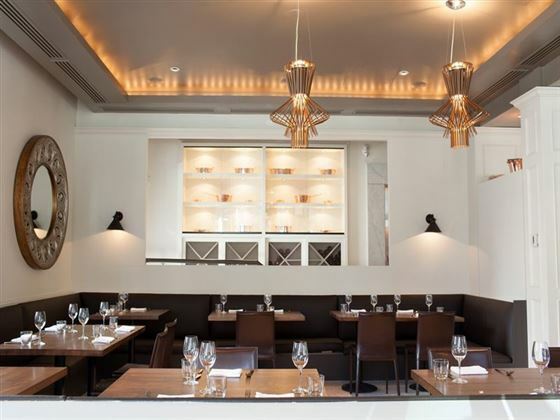 The hotel hosts the classic Northern Italian restaurant, La Pentola, which serves lunch, brunch and dinner, as well as the Opus Bar, featuring a diverse wine list and cocktails as well as evening entertainment, including live music and DJs. Continental breakfast is also served, including fresh baked pastries, fruit, house cured charcuterie and specialty coffee drinks. 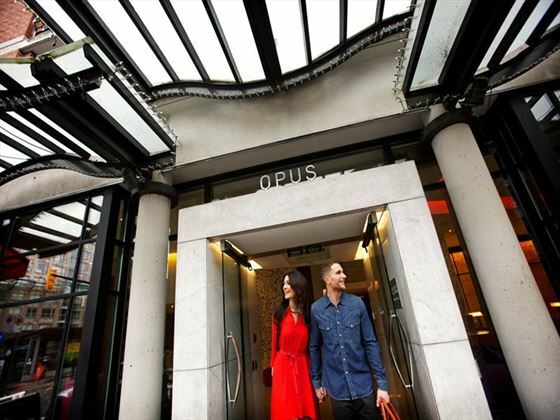 The Opus Hotel is located in the Yaletown neighborhood of Vancouver near the False Creek waterfront. 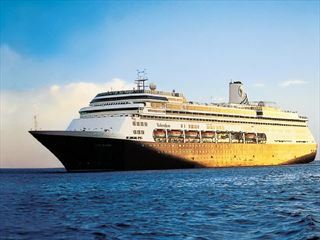 A luxurious Holland America cruise ship offering lavish amenities including a show lounge, a casino, and a selection of fabulous restaurants.